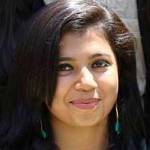 Sampurna is a graduate in History from St. Stephen's College, Delhi University. Sampurna has previously worked with Amnesty International India on their human rights campaigns as well as their youth network. She is an avid writer and has also directed several theater productions. She is a certified Odissi dancer, having obtained her certificate from Pracheen Kala Kendra.